The last few days I have been working hard on my new snow leopard drawing. It’s going to be a bigger drawing than usual. This one will be 18 x 24 inches. A big close up of his face. I’m having a lot of fun with it. I started a new pencil drawing. 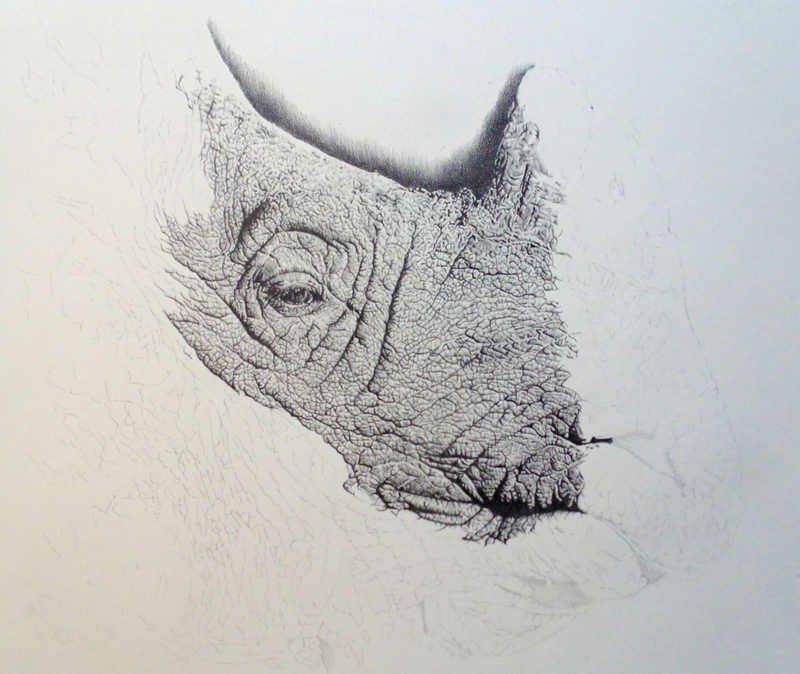 A rhino this time. It’s a Greater One-Horned Rhino, aka Indian Rhino. It is the largest of all rhino species. This is it’s progress after 31 hours of work. You can also follow it’s progress on http://www.facebook.com/remrovsartwork. 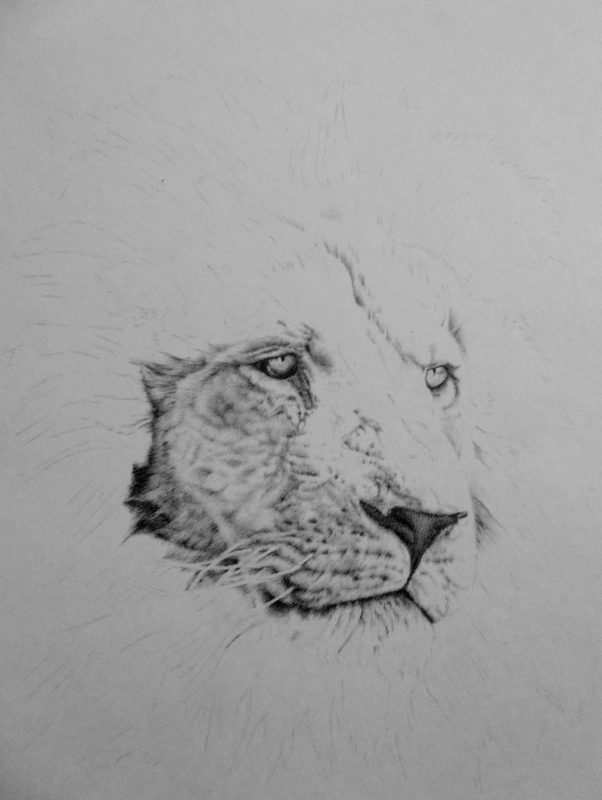 I just started a new lion drawing. 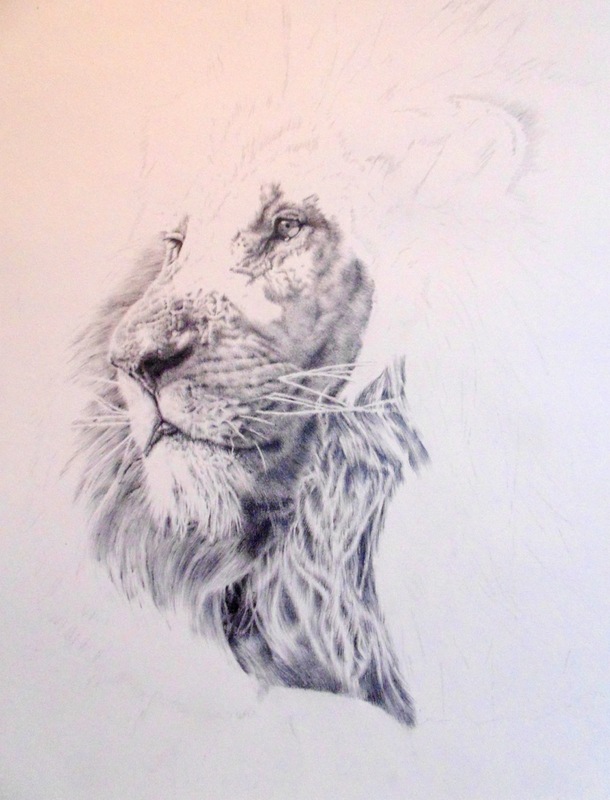 I just love lions and I’m having lots of fun with this drawing.